QUEENS, NY, 5/16/16 – As part of their ongoing relationship, 816 New York collaborated with Direct Connection Advertising & Marketing to develop a national insurance ad campaign. 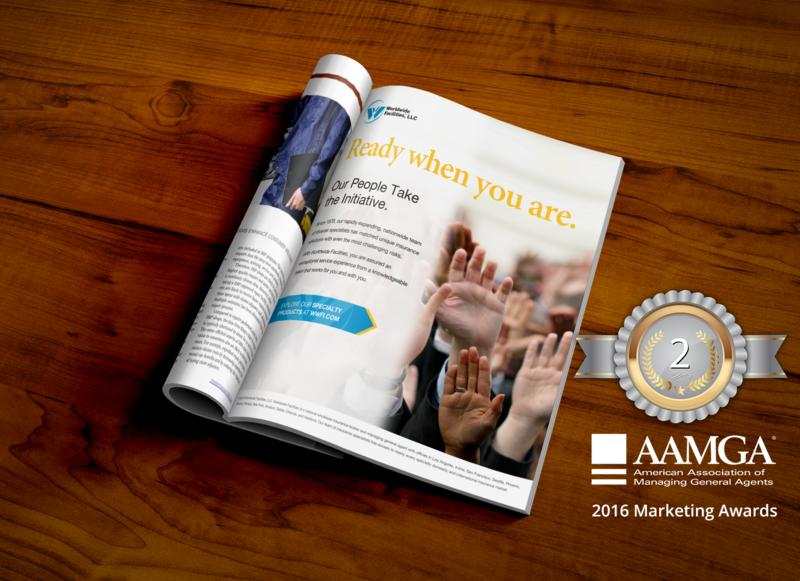 The campaign has been awarded 2nd place in the 2016 AAMGA Marketing Awards for the Print Advertising category. The American Association of Managing General Agents (AAMGA) annual Advertising & Marketing Awards honor insurance companies with the most innovative advertising, newsletters, sales materials, websites, stationery and other collateral materials. 816 New York collaborated with Direct Connection on a general direction, then crafted copy and artwork for each to correspond with three core company attributes. The result was distinctive and attention-grabbing print ads, as well as banner ads for various digital marketing initiatives.